AJ's Deer Valley Real Estate 2016: Park City/Deer Valley 2011 Final Sales Stats. Park City/Deer Valley 2011 Final Sales Stats. The year end statistics are in, and the overall Park City real estate market continued to improve in the last half of 2011, with total sales volume topping the $1B mark, a 6% increase over 2010! While average sales prices were still down 9% from prior year, that improved from 15% off at the end of 2011 Q2, for a 6% increase in the last 2 quarters. Strong: Upper Deer Valley area homes, where sales volume nearly tripled in 2011 over prior year, and average price increased over 8%. This continues in the early weeks of 2012, with two more pending sales in the "Bald Eagle" community. The latest is this $7m listing on "Hawk Court"! Pinebrook homes: volume up 24%, prices up 9%! Call or e BigAl if you would like more details on yours or any other market category! ﻿﻿﻿﻿﻿ Best Buy: 10 Bellemont Ct. Why...? 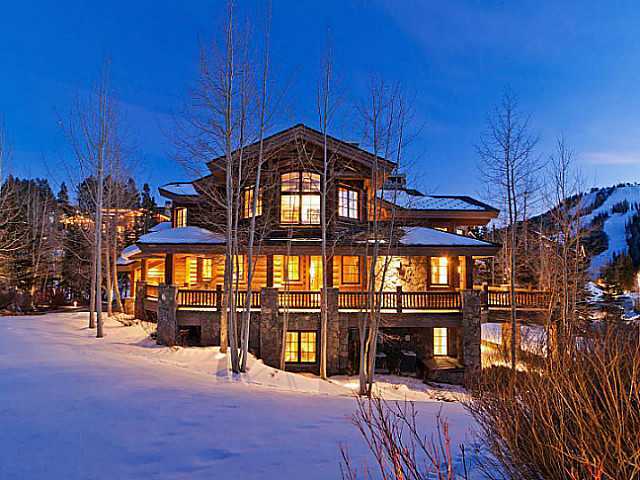 Recently reduced to just under $3m, and offered fully furnished, this spacious 6 bedroom home in Upper Deer Valley is perhaps the best current value in Deer Valley with ski and ski out access just 30 steps from the door. This home will sell this winter. Best Buy: 7893 Red Tail Ct, Bald Eagle Why...? Fabulous ski in/ski out home in gated Bald Eagle. Only BE home under $600/sf, and rumored to be a highly motivated seller! (Buy in the low 4's?) Bald Eagle has been one of Park City's hottest sales segments last 12 months, with 6 sales, and current inventory down to half of a year ago. Prices will go up soon here. ﻿﻿﻿ Best Buy: 1948 Mahre Drive, Sun Peak area. Why...? Just reduced to under $1m, and barely over $200/sf, this home offers a great floor plan and stunning mountain views! We love your referrals! If you know of anyone interested in Park City/Deer Valley Real Estate, we are, as always, at your service!